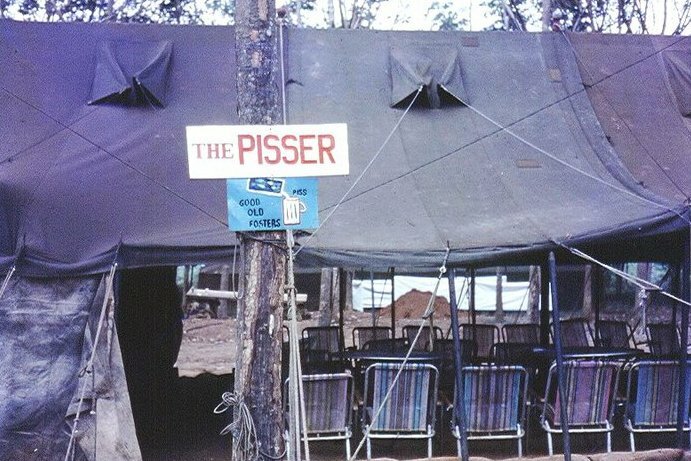 The honour board was started in the OR's first canteen named 'The Pisser' which was an American extended Comd CP tent (WW2 vintage). 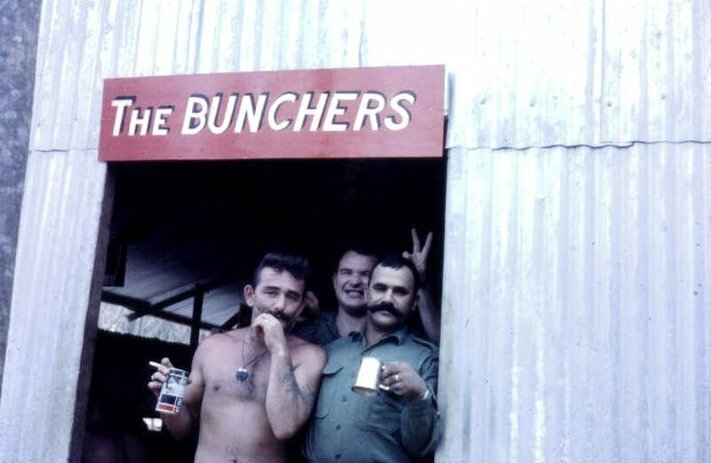 Once a Hut was built for the canteen in late 1966 the name appeared to change to 'The Bunchers'. 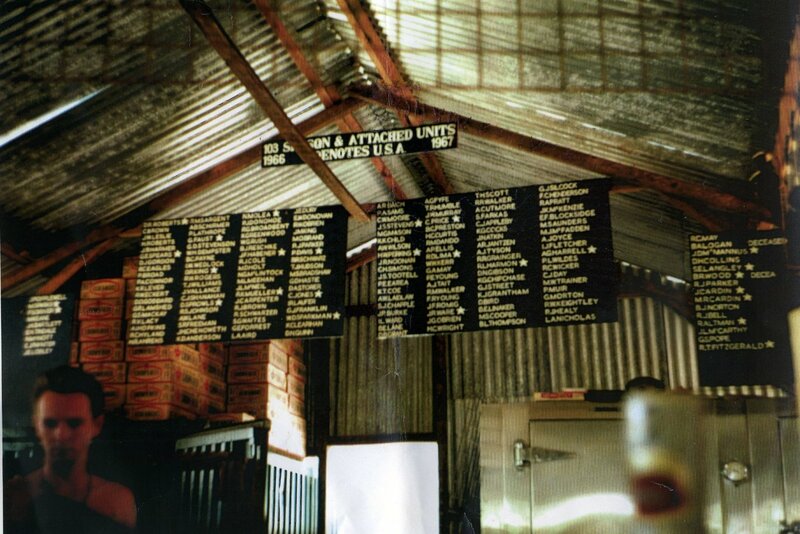 How the names were added to the honour board is not clear as no schema appears in the layout. Not only 103 Sig Sqn were added, the board included detached 145 Sig Sqn and US Army Signal Corps plus the 547 Sig Tp members located in the 103 Sig Sqn area at Nui Dat. Sadly two members that were detached. one from 145 Sig Sqn (Sig Barry Logan) and the other US Army Signal Corps 53rd Sig Bn (SP4 Barry Wood) died during their service with 103 Sig Sqn and are marked on the Honour Board. Details are below. In March 1967 several members of the Medium Radio Detachment, 145 Sig Sqn at Vung Tau, for quite some time, had been trying to get a piece of the action up with the Task Force (1ATF). Finally their Troop OC, Capt Turner gave the OK for three members to work as Radio Operators on Operation Portsea with US Army forces working with 1ATF. The three members were Cpl Wally Kerr, ? and Sig Barry (Lofty) Logan. 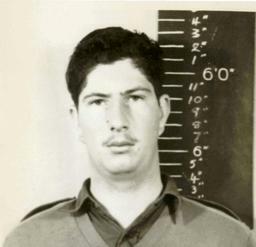 During their period away from Vung Tau and only days before he was due to return home to Australia, Barry Logan was killed in action on the 28th March. Barry was to have been in the leading US 11th Armored Cavalry Regiment APC but had made friends with an American who was travelling in the rear APC. So he changed places with Wally Kerr. The three Commard Post APC’s were in convoy when the third APC was blown up as the result of a booby trapped 500lb bomb killing Barry and SP4 Dennis Lee Bertschinger (US Army, 1Sqn, 11ACR) and wounding eight others. 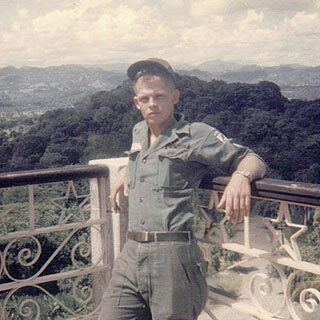 SP4 Barry Russel Wood from B Company, 53rd Sig Bn was accidental killed at Nui Dat on the 2nd Nov 1966 as part of the US Army Signals Detachment in support of 1ATF. The US Army Signals worked with 103 Sig Sqn providing the Task Force communication system. The detachment was located in the 103 Sig Sqn area at Nui Dat. Footnote: Special thank you to Christopher Brown, OAM for the recall on details that made this story possible. Christopher (AKA Callsign Bullworker) was an original member of 103 Sig Sqn and served in South Vietnam in 1966/67 as a L/Cpl Operator, Keyboard and Radio (OKR). He served 31 years in RASigs and retired as a Major.